Glass has always been one of the primary materials used in the construction of most amazing and awe-inspiring buildings around the world. In fact, glass plays significant role in the world of modern architecture and one can’t find a modern building without substantial use of glass. Amer Adnan Associates, which is the leading interior design and construction company in Pakistan has compiled a list of the five most amazing glass buildings around the world. The National Grand Theater of China is located in Beijing, China. This amazing capsule-like glass structure lies next to the Tiananmen Square of China’s capital city. This amazing glass building was designed and supervised by architect Paul Andreu and stands in a man-made island. The National Grand Theatre of China boasts a wonderful interior as well as exterior that gives a wow factor. The theatre has an opera house, a concert hall, shopping mall and a lot more. The building is made out of titanium and glass. 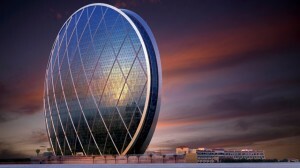 This amazing circular glass building stands tall in Abu Dhabi, the capital city of United Arab Emirates. It is an office building and as its name tells is the headquarters of Aldar Properties, a real estate and construction firm of UAE founded by Ahmad Ali Al Sayegh and owned by Mohamed Al Mubarak. In order to make it sustain the circular shape, steel diagrid was used and then covered with the glass panels. The building was designed by MZ Architects. 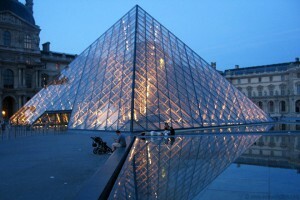 The Louvre Pyramid is an awe inspiring glass structure which was constructed as an entrance to Louvre in Paris, France. I. M. Pei and Partners are the designers and architects behind this amazing pyramid. The steel beams and cables are the structural materials of this pyramid whereas the entire building is made out of glass. The Louvre Pyramid is in fact the main courtyard of Louvre Palace. The Louvre Pyramid has become one of the most talked about structures of Paris city ever since its completion. The amazing Basque Health Department Headquarters is based in the wonderful city of Bilbao in Spain. 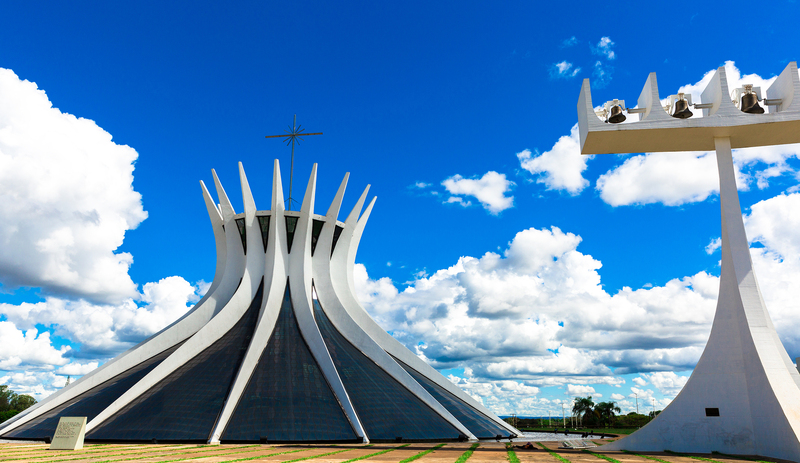 It is also known as the country’s architectural hotspot. 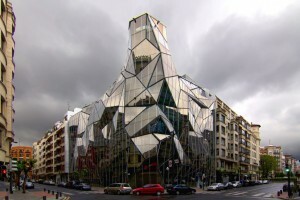 This unique and bizarre glass building was designed by Coll-Barreu Arquitectos. Many people from across the world come especially to see this unique and amazing building. The Gherkin lies in the amazing and historical capital city London in England, United Kingdom. It is the tallest building in London and is also known as 30 St Mary Axe. 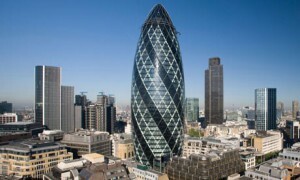 The Gherkin is designed and developed by the architectural firm Foster and Partners. The purpose of this building which is entirely made out glass is to maximize the use of natural light than relying too much on the artificial sources. The Gherkin uses laminated glass which surrounds the entire building.